Are you looking for a cost-effective swing tag to place on products? Choose from a variety of finishes. Gloss cello both sides is great for "Do Not Disturb" signage. 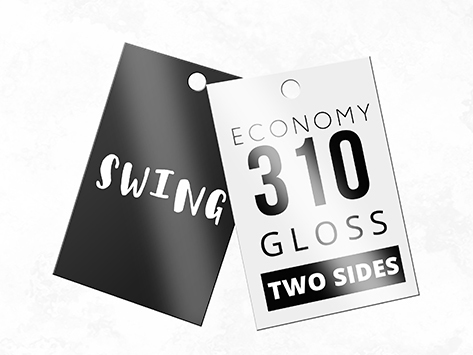 Look no further as these swing tags are the perfect solution for you! Best of all, as these are printed on our Economy Class 310gsm stock and a premium gloss cello is applied to both sides, they offer excellent value for money!